All in One Profits (AIOP) is it really All in one? Okay so I ran across a tool the other day. It has been around for a little while, but it is new to me. All in One Profits (AIOP). I found it had many very useful tools. We will get into those a bit later. Let’s first start out with what you need to make money online. I have said it before and I will say it again. To build a sustainable business online you need to have a website. Can you make money without one? Yes, but it is best to have one. It allows you to continue to get new sales without additional work. Hosting generally costs $4 a month on up. When you have a website you need some place to host it. I have talked about good hosting services before such as BlueHost and even Wealthy Affiliates. Over time these can cost you some cash (even though they have their own benefits). AIOP has hosting included in the program. An auto responder allows you to collect emails from potential clients and then later send them follow up messages to them at a set time or on the spot. This is a great tool if you set up a series of emails to go out at a scheduled time. Automation is the name of the game to save you time and money. Good Autoresponders I have discussed in the past can range from $15 a month on up, depending on the amount of subscribers. I personally have used GetResponse for a number of years and the cost is $15 per month for up to 1000 subscribers. All in One Profits has its own autoresponder included in the cost of the program. The real kick in this is that it is unlimited in the number of subscribers that you may have in the system at any time. A splash page or landing page is a simple page that allows you to collect an email. Many people try to make them very fancy, but I have found simple to be best. The question is how do you make a landing page? Well you make them with a splash page editor. AIOP has an easy to use splash page editor that is also included in the program. This allows you to simply pick a template, input the information you want on it. Again, the simpler you make it the better results you should get. They even host them for you. With programs like GetResponse there can be added fees for landing pages. I know what you are thinking and that is why would I want to pass that even person up. Well guess what each of the people under you do the same thing. So as you help your down-line increase their down-lines and they do the same for theirs, you will continue to grow your own down-line and thereby increase your revenue. It really is a win-win-win situation. I have always said that I am here to help people. I look at many different programs. Some of them bad, some of them fair, and some of them good. Of course, this is always my opinion, but I try to lay things out as I see them. I really love that there are many things you need to really build a successful business online. The cost of the program starts at $10 a month (Basic) plus a small admin fee of $1.50 per month for a total of $11.50 per month. There are only two levels. The second level is $20 per month (Pro) plus a small admin fee of $1.74 per month for a total of $21.74 per month. While they do have training, it is actually limited in its scope and breadth. That being said that can get you started and I of course would be happy to help you succeed if you join under me. When I first joined I joined as a basic member but after I had the chance to really take a look at the program I decided I wanted to upgrade the membership to pro. I sent them an email asking them if it was possible or if I had to wait until the next billing cycle. They responded within 30 minutes. I was able to upgrade that cycle since I had just signed up an hour before I requested the change. I believe this is for anyone from beginners to advanced internet marketers. While if you are a beginner without any other support it would be difficult for you to make any money off the program. If you join under me I will be happy to help you build your business so that you can succeed as well, whatever you level. What does All in One Profits Cost? As I mentioned earlier there are two levels of membership for All in One Profits. The Basic Level is $10 per month plus an admin fee of $1.50 per month for a total of $11.50. This is very inexpensive as you will pay more that that for an autoresponder alone. The Pro Level is $20 per month plus an admin fee of $1.74 per month for a total of $21.74. The benefits of the Pro Level are worth the increase in price in my opinion. If you feel that you want to wait for the pro level you can do that. Most of the time you would change it at the end of the billing cycle, not in the middle though as I was able to do. 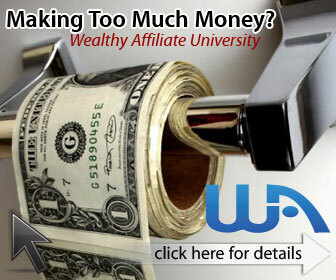 This is a wonderful program especially if you want to save some money on things such as autoresponders and web hosting. The value for the cost is simply one of the best I have found. As I have said more than once if you chose to join under me I will be more than happy to help you out with setting everything up. So check out AIOP by clicking here. I like a program that helps keep the costs of running an online business down. The tools that are in All in One Profits are amazing and very useful when you are starting out. If you are serious about making money online I will be happy to help you do it. You can also check out my top recommendation. It can take more than one tool to be successful online. See all my recommendations on my recommendations page. You can find that on the top of this page.